Before we get started, let's answer a question: What exactly is cork? Turns out it comes from the cork oak tree, which is native to southwest Europe and northwest Africa. 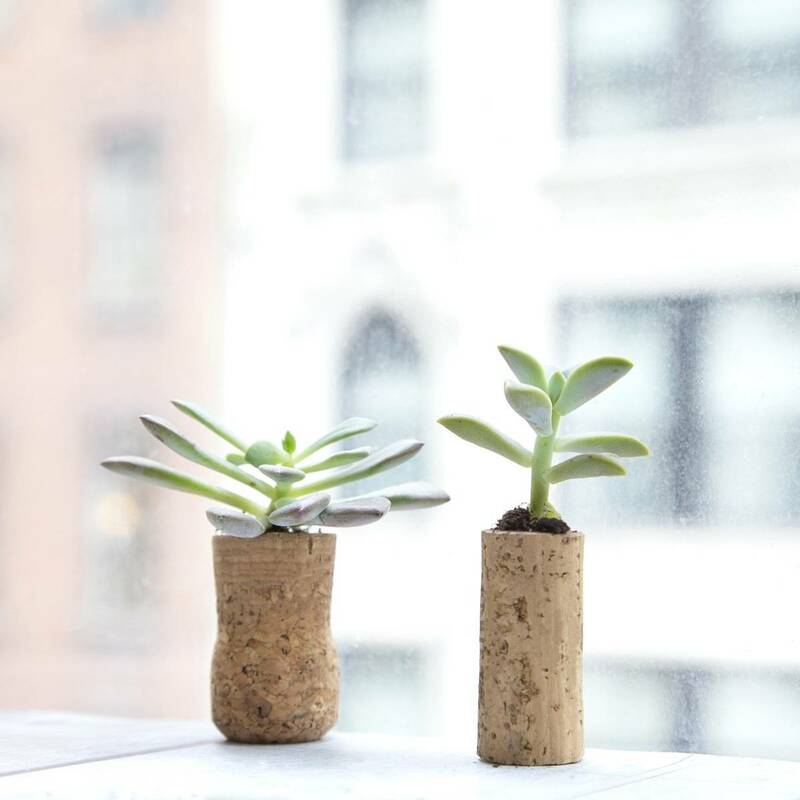 Corks are made from the bark of this tree, which makes them a perfect pairing for planting succulents. Cork also has a unique ability to adapt its shape (like when it creates a tight seal in a wine bottle), which also helps with planting. 1. Start by carving out the center of a cork using the tip of the craft knife. Dig out enough cork to fit a succulent plant inside. 2. Repot the plant into the cork. Done! If you want to display your new wine cork projects on the refrigerator, use hot glue to attach small magnets to the backs of the corks. Before your next dinner party, save up your wine corks for this simple DIY project. These place card holders also make great cheese labels! 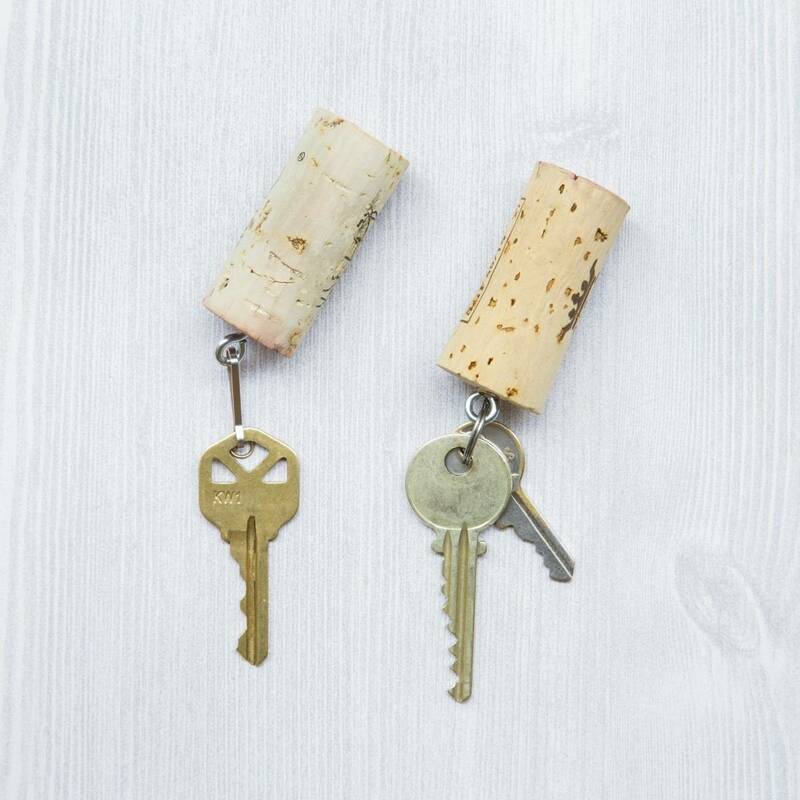 Fun fact: The best wines are always sealed with natural corks versus the plastic ones, so you can slyly let your dinner guests know you also have a stellar taste in wine, too. 1. Hold the cork in an upright position, and slice off one rounded side of the cork. This allows the cork to lay flat on the table. 2. On the opposite side of the cork, cut a slit into the side. 3. Slide your place cards through the slit in the cork. Done! In addition to cork stoppers being sustainably made (the cork oak tree regenerates nine years after being harvested), cork oak bark is naturally buoyant! It's impermeable, yet the tiny cells that make up the cork release air so slowly that it creates buoyancy (or ages fine wine). Don't worry about losing your keys in the bottom of the swimming pool or lake with this DIY. 1. 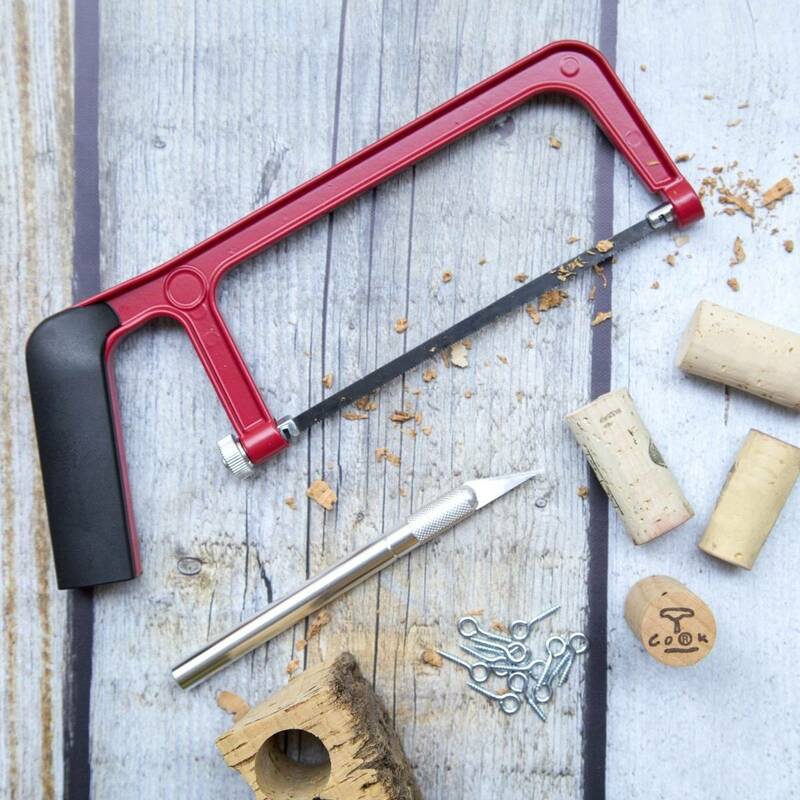 Screw a small eye hook into the bottom of a cork until it is secure. 2. Attach a keyring to the eye hook, then to your keys. 1. 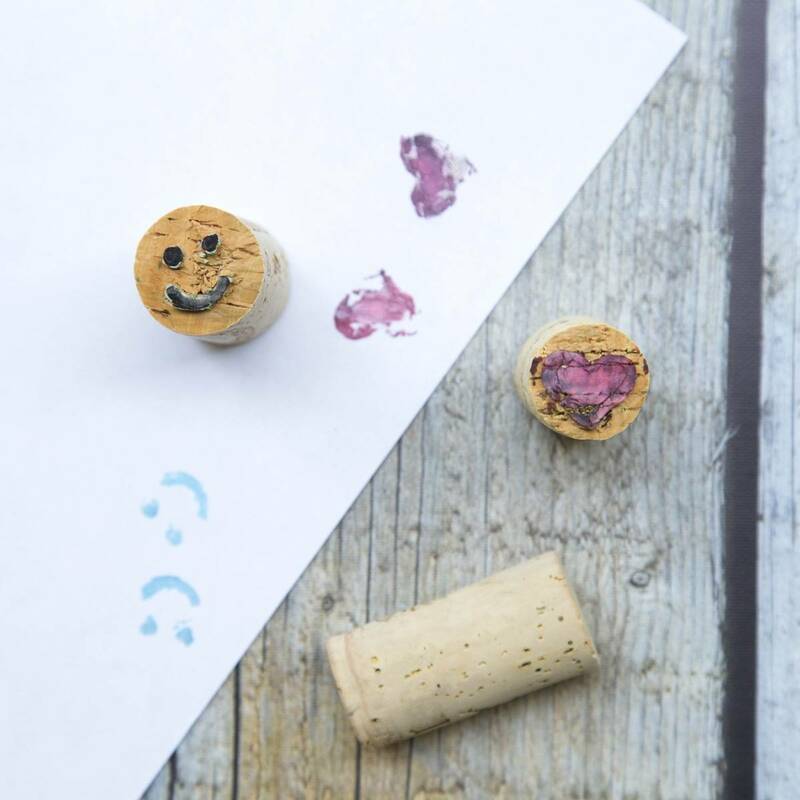 Grab a marker, and begin by drawing your design on the end of a cork stopper. 2. Use a craft knife to cut away at the areas you do not want to show (i.e. the negative space). 3. Press the stamp onto an ink pad, or into paint, and start stamping! Know what else we like about real cork? These forests retain nearly 14 million tons of CO2 per year! which are diverse ecosystems that provide essential habitats. And the best part - cork is 100% recyclable, and there are lots of recycling resources available based on your region. Share these wine cork projects on Pinterest! If these wine cork projects made you fall in love with cork, you'll love these DIY patterned cork coasters! Thanks to the Portuguese Cork Association (APCOR) for providing fun cork facts!